Check out our fun hare facts for kids. Learn about the differences between hares and rabbits, how fast hares can run, what a group of hares is called and much more. 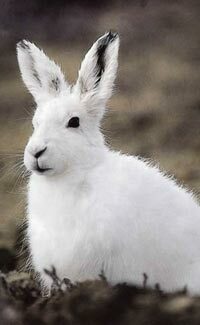 Read on and enjoy a variety of interesting information about hares. Hares are similar to rabbits but there are a number of key differences. Rabbits give birth to their young in burrows while hares give birth in more open areas. Hares are born with fur and their eyes open. Hares are not kept as house pets. Hares usually live by themselves or in pairs. Young hares are called leverets. Like rabbits, hares are herbivores (plant eaters). A group of hares is known as a ‘drove’. Hares can run at speeds up to 72 kph (45 mph).